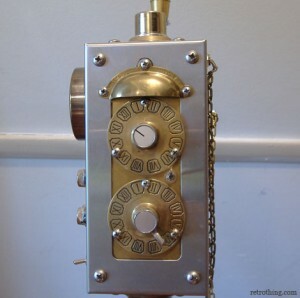 This is, of course, based on Eric Barbour’s designs, with a few twists. 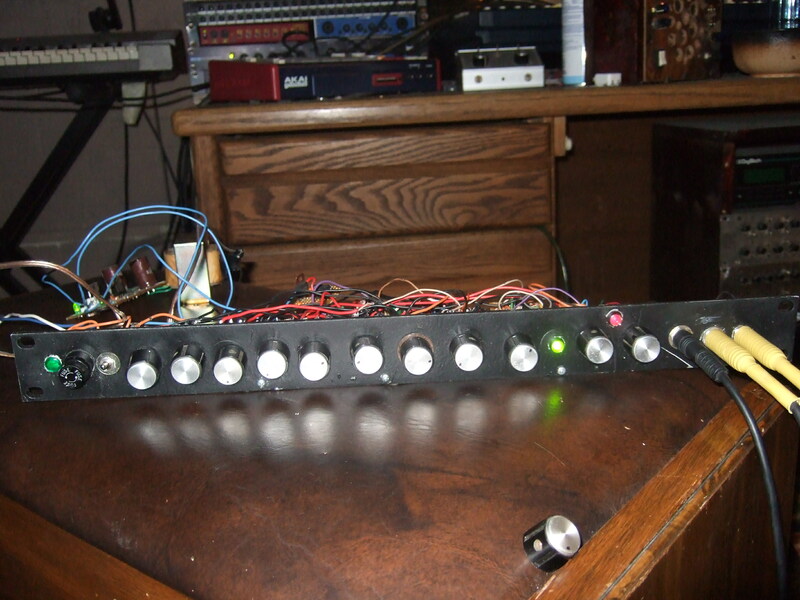 I built a separate sine/square wave oscillator and have put an input jack on the front of the ring mod for input of any carrier signal. 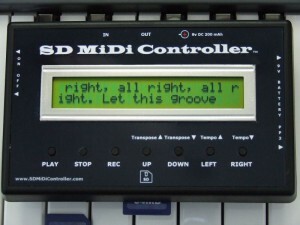 Basically, the first jack is the straight signal input. 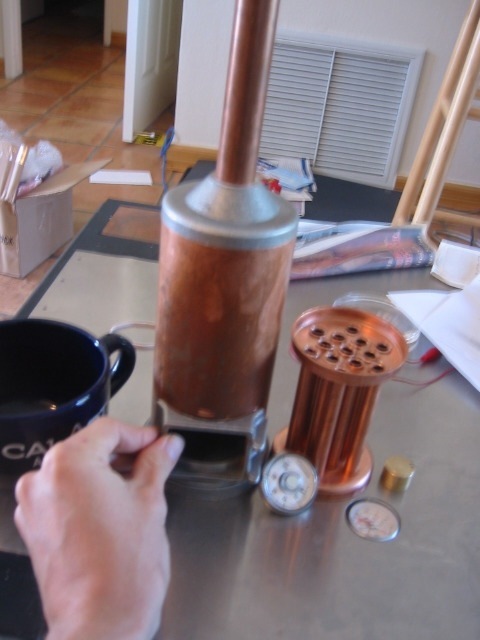 It feeds a 6ej7 pentode, then the volume pot below the jack, then pin 6 of the sheet beam tube. 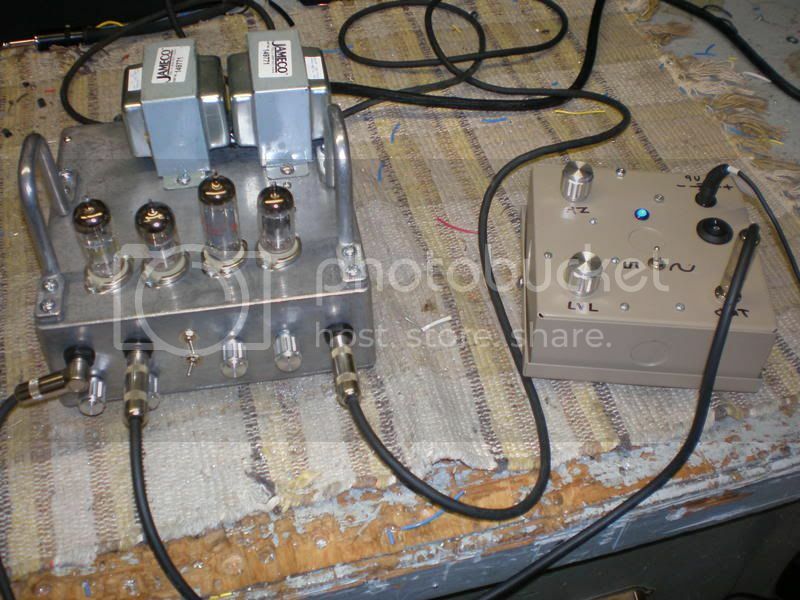 The second jack is the carrier input, which feeds 1/2 of a 12ax7, a volume pot, the second 1/2 12ax7, then the beam deflection pins. The top switch takes the straight input and switches it to the carrier circuit, cutting off the carrier input. 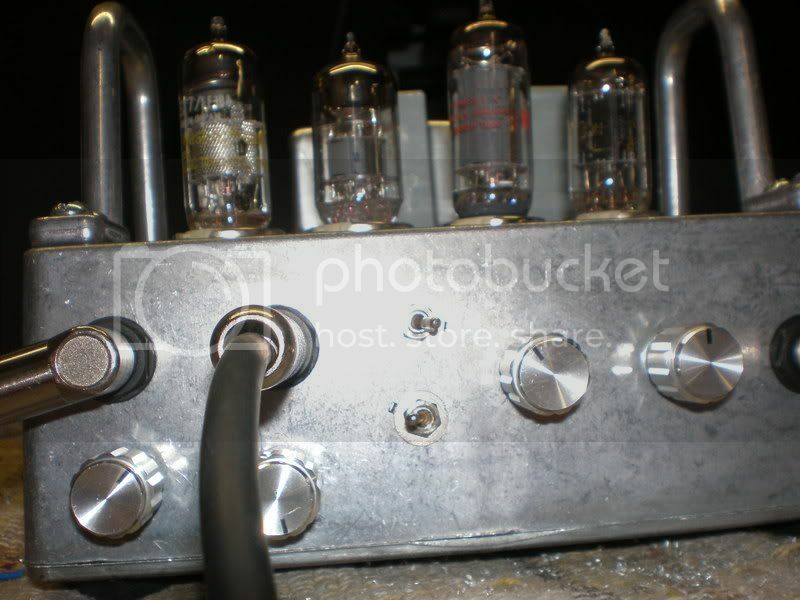 This creates some weird and useful sounds, especially in conjunction with the bottom switch, toggles the value of the 12ax7’s first cathode resistor bypass cap between 10 uf and .01uf. 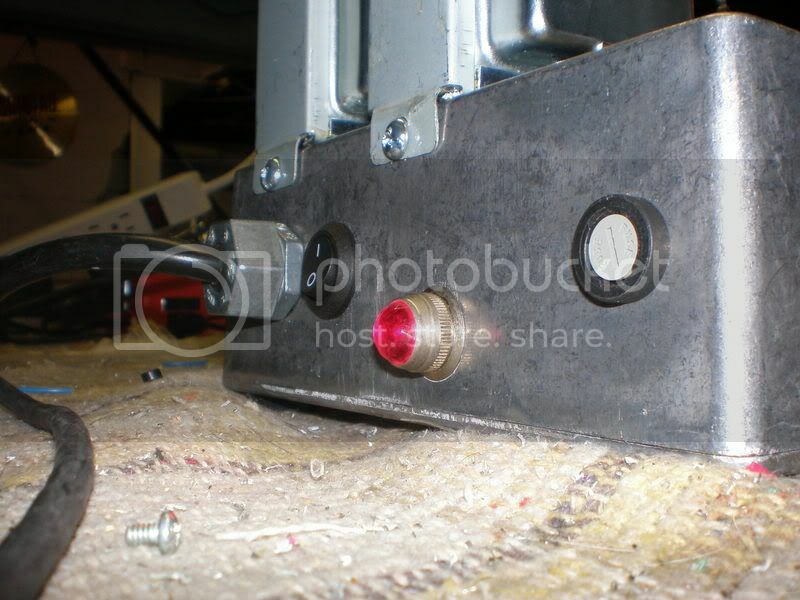 The third pot is screen voltage control for the sheet beam tube and the last jack and pot are output. 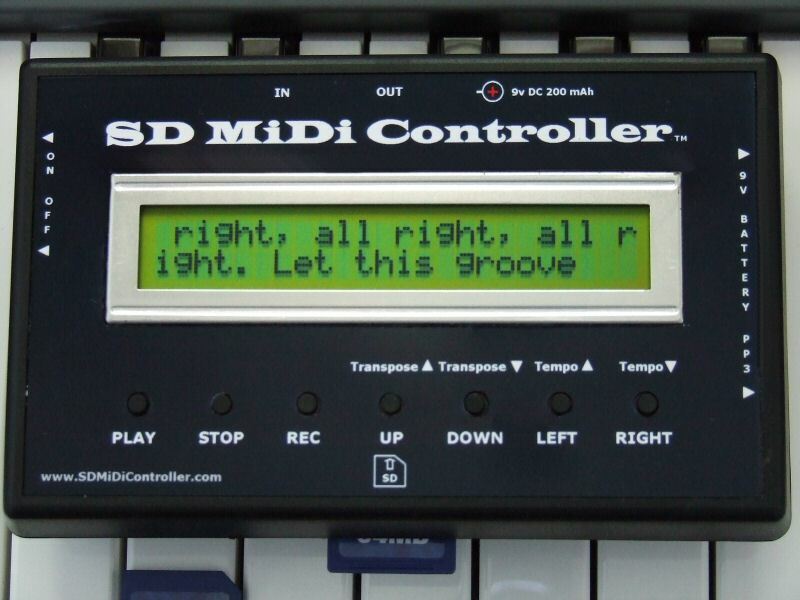 Interested in unusual MIDI controllers? 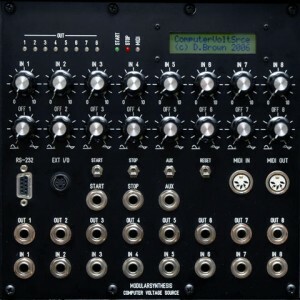 Controllerism needs your support. It’s obvious they haven’t been updated in a couple of years. Not only that, I’d never heard of Phidgets before–until seeing their link on Controllerism. Excellent idea. 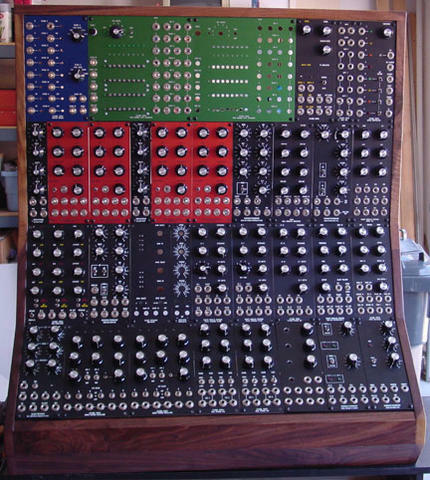 If you build your own synth modules, you MUST join this Yahoo group. Members include just about all the well-known DIYers. 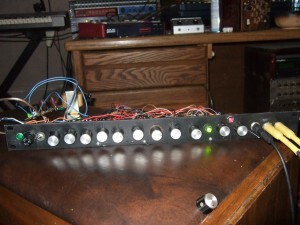 They post FPD files for their custom modules. FPD is Front Panel Designer, the software used by Schaeffer USA to allow hobbyists to design and order their own machine-engraved aluminum panels. All you do is load the proper FPD file in the program, and then you can order finished panels directly via internet connection. Or, use the panel layouts as masters to design your own custom panels. It’s a very easy-to-use, basic CAD program. 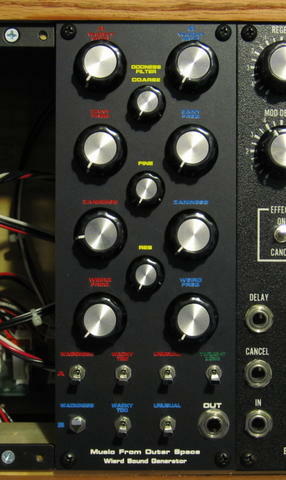 I’ve used Front Panel Designer for prototypes and custom jobs, and the resulting panels are beautiful. They are anodized, and various anodizing colors (and colors of engraved text and graphics) are available. Plague Bearer v1.1 is now available for order! Now that the madness of developing the Parasite is over, we can tell you about some new developments and upcoming offerings. Some of our behind-the-scenes business deals were finalized yesterday, enabling us to receive much better volume pricing on many components and services. Now we get to pass the savings on to you as well! For starters, the price of the Parasite is now just $185.00. A stash of the enclosures used to build both the Parasite and the Plague Bearer has been discovered! We are happy to announce a run of twenty v1.1 Plague Bearers, at $240 each. Version 1.1 has a few changes, mostly internal – PCB layout tweaks and Power Supply changes. The patch panel will be all 3.5mm jacks as well. The Parasite v1.0 run has been extended to 50. 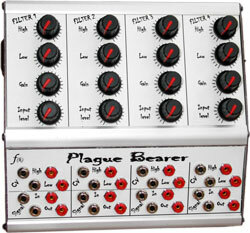 Modular versions of the Plague Bearer, Parasite, and the Infernal Noise Machine are in development. We have expanded our crony resource list to include a custom cabinetry manufacturer, and will be offering custom wood enclosures soon. 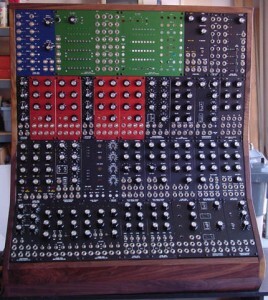 Heres a shot of my modular as of about 12/07. I’ve been working on it off and on for about a year now. The panels are brass and were etched at home using an electrolytic process. I just moved, so progress has slowed down, but once this cabinet is stuffed I’m going to start a second ‘controller’ cabinet. 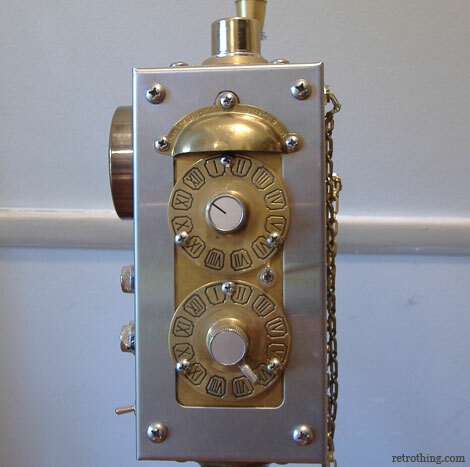 I chose brass because I can cheaply etch it at home. Panels run me about $2 ea. on average. I’ve got a new one up – the Parasite. A portable, single voltage-controlled Resonant Bandpass Filter (taken from the Plague Bearer), with two LFOs. I’ll have some samples up soon as well. All comments welcome! 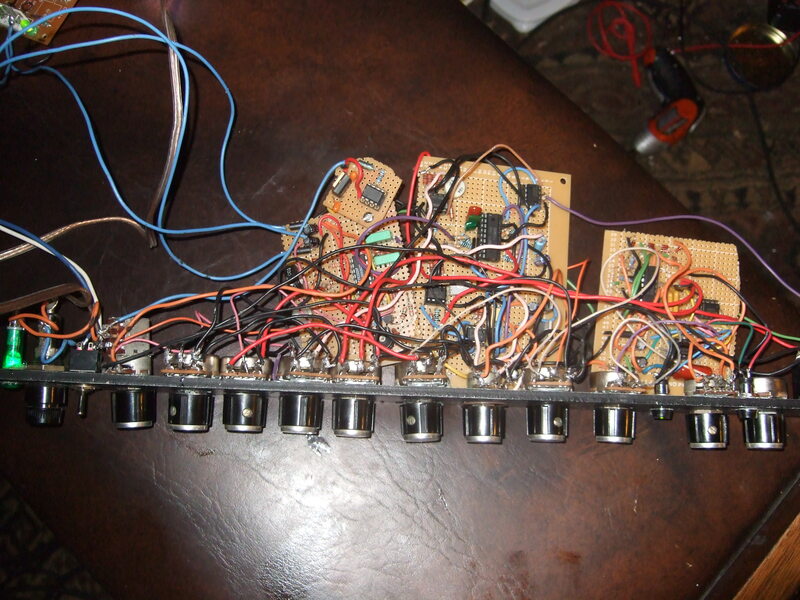 Who says you can’t build a steam-powered synthesizer? Mike Ford gets some well-deserved attention from Retro Thing. 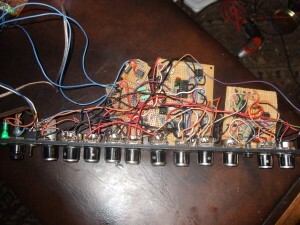 from a dead mixer – all chips and capacitors were pulled from dead electronics pcbs laying around. not me). 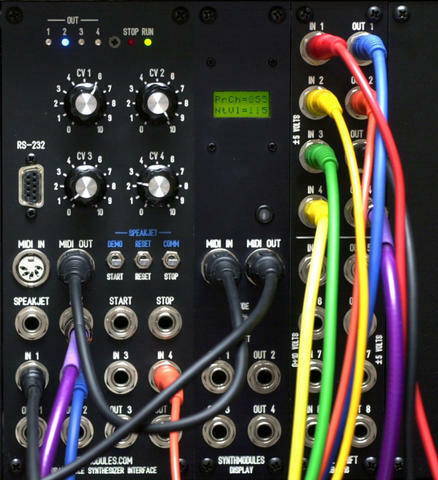 – so vco / noise/vc mixer/vcf/vca with the asm-1 lfo and ian fritz’ ad/ar circuit. 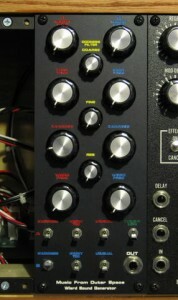 the vco is rene’s 4069 VCO – the noise is gravenhorst’s PIC based digital noise – which i had in another unit that i took apart. 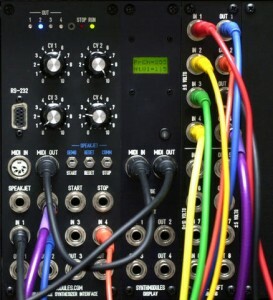 noise enters the synth through the VCO’s pulse width input via a pushpull pot/switch (pot is pitch) – www.notbreathing.com/peteyjustdoinghisthing.mp3 – crap beats from mpc1k – midi from it to paia midi2cv8 to petey — sorry its not more deviant -b ut it is garbage. 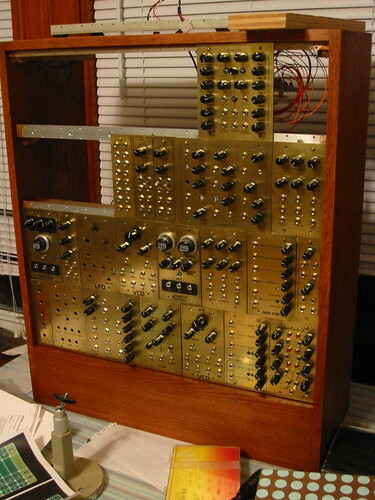 sorry the resistors and diodes were new….